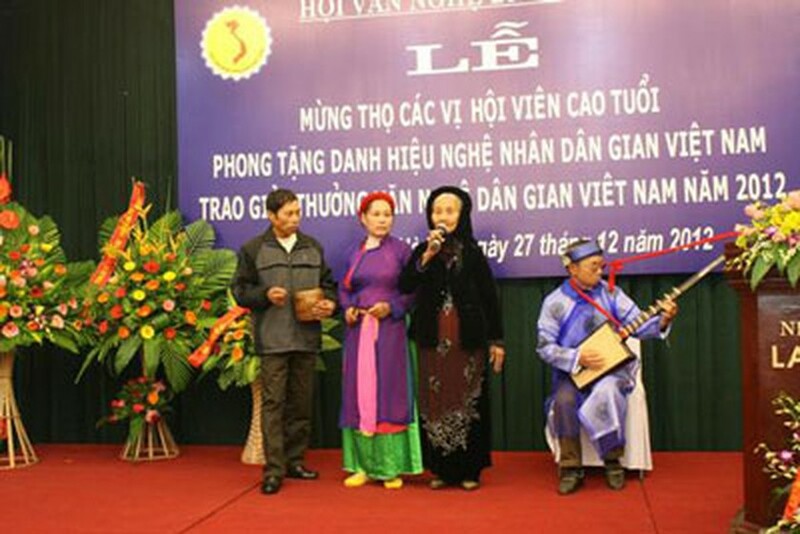 The Vietnam Folklore Arts Association on December 27 conferred the title of ‘Folklore Artist’ on seven persons who have contributed greatly to folklore literature and arts. 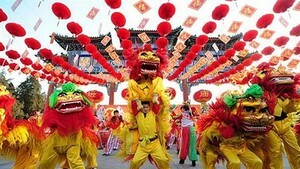 These seven people teach the Vietnamese ‘Dan Day’ (an instrument resembling the guitar) played in ‘Cheo’ (traditional opera style), and various kinds of traditional music and lion dances. Besides these seven people, prizes were given to 63 people who took part in a folklore literature and art competition, which is an annual event that recognizes creative talent to preserve and promote traditional folklore literature and arts in Vietnam. Association chairman To Ngoc Thanh said this year, theme and genres were diversified and of high quality in the competition. Five first prizes went to ‘Nhung Van De Than Thoai Viet Nam’, tales written by Nguyen Thi Hue; ‘Cau Truc Ngu Phap-Ngu Nghia Cua Tuc Ngu Viet Nam’, proverbs written by Nguyen Quy Thanh; ‘Van Hoc Dan Gian Ben Tre’, folk literature by teacher Nguyen Ngoc Quang; ‘Le Xen Muong Cua Nguoi Thai Muong Den’, a traditional ceremony of Thai people written by Luong Thi Dai; ‘Tang Le Cua Nguoi Cham Ahier Ninh Thuan’, a funeral ceremony of the Cham people; and ‘Hat Ke Su Thi Va Truyen Co Raglai’, telling of epics and tales of Raglai people along with 19 DVD’s by researcher Hai Lien.